Just when Congress is gearing up to consider a package of patent reform initiatives aimed at dealing with abusive patent litigation, the U.S. General Accountability Office has released a much anticipated study of the “consequences of litigation” by non-practicing entities as mandated by Section 34 of The America Invents Act (AIA). Given that Section 34’s language and directives could best be described as unenthusiastic towards licensing and the enforcement of patents, an objective reader of the GAO study cannot help but conclude that the GAO did not conduct or produce the sort of scornful report on the state of our patent system that large IT companies and patent-skeptics had hoped for. While the report is not a vindication for NPEs (far from it), it did not give patent critics what they hoped to get (i.e. an independent agency’s finding that patent litigation is exploding and that this increase in litigation is having a negative impact on innovation). Quite the contrary. The GAO interviewed officials from the PTO, FTC, ITC, and 44 stakeholders including judges, academics, venture capitalists, technology companies, and inventors, surveying existing economic and IP academic research; examined data from the AIPLA and RPX; and purchased litigation-related data from third party sources like Lex Machina; and conducted a year-long PTO performance audit. In the end, the GAO produced a measured report which summarizes the views of the various stakeholders and suggests that — to the extent there is a problem in the patent system, it is not a patent litigation problem but rather a legacy patent quality problem. As Politico reported: “The world wants to blame so-called patent trolls for the lawsuits that have tied the intellectual property system into knots — but operating companies that make actual products are the ones running to the courthouse.” Specifically, the GAO found that “companies that make products brought most of the (patent) lawsuits and that NPEs brought about a fifth of all lawsuits.” Still, NPEs accounted for over one-third of defendants sued and over one-half of the overall increase in defendants from 2007 to 2011 and the reasons for this increase is something the Congress will want to – and should – examine. The GAO estimated that 39% of software related patent suits were against nontechnology companies/firm (e.g. retailers). The GAO dedicated a good portion of its report on how the courts’ administrative improvements (e.g. patent pilot project) and the implementation of AIA are likely to affect the handling of patent cases and patent quality in the future. The GAO also noted that, not surprisingly, that 38% of the cases brought by PMEs (patent monetization entities) are brought in the ED of Texas. And, while patent litigation is expensive, the GAO notes that all litigation is expensive, not just patent litigation. Importantly, Congress had directed the GAO in Section 34 to include “recommendations for any changes to laws and regulations that will minimize any negative impact of patent litigation.” The GAO chose to make no legislative or regulatory recommendations. Nor did it include any objective findings about the impact NPE litigation has on the economy, job creation, consumers, and such. (Well, the GAO did make reference to the studies of professors Bessen and Chien s and their conclusions about the cost and impact of litigation but also noted that the studies were based on ”nonrandom, nongeneralizable “ sets of data). Instead of condemning NPES, the GAO emphasized at the very outset of its report that our nation’s history is filled with examples of inventors who did not develop products based on the patented technologies. The GAO concluded, simply, that: 1. Most litigation today involves software-related patents (89%); 2. Focusing on the identity of the plaintiff (be she an NPE or something else) may be misplaced; and 3. PTO is doing more – and can do more – to improve the quality of patents it issues. The only specific recommendation included in the report was that the PTO examine trends in patent infringement litigation and consider linking the information it gleans from those trends to internal data on patent examination in order to improve the quality of issued patents and the patent examination process. So what’s the bottom line? Software patent critics will certainly use the report to advance their agendas, as will retailers who have been frustrated by infringement actions being brought against end-users and sellers of infringing products. But, overall, the report directly and indirectly supports the view that there is no patent litigation crisis and that, to the extent that there are problems with the patent system, they are linked primarily to patent quality – not the identity of the patent owner (e.g. NPE, PAE, PME, operating company or whatever name one chooses to use). The best path forward, it would seem the GAO is suggesting, is to allow the courts to implement their administrative reforms, allow the AIA to be implemented, and insure that the PTO continues to implement reforms that will improve the quality of issued patents. Some in Congress are still going to want to legislate but one can hope these same legislators will review and reflect upon the findings and recommendations contained in the very report they requested before doing so. Good post and I agree with this 100%. Good thing the FTC or DOJ didn’t get their political fingers into the pie. The GAO is famous for producing unbiased opinions that often go against the DC political system while the FTC and DOJ is typically populated by political whores. One thing done to get the America Invents Act passed was to appoint as Director of the USPTO an individual who not only was from an entity that was pushing for the legislation, but who had personally lobbied for similar changes in the past. Is there any information on whether the the current Director is taking or has taken any stand on the alleged “patent troll” issue? This is just spin control by infringers to cover up their theft. The patent system now teeters on the brink of lawlessness. Call it what you will…patent hoarder, patent troll, non-practicing entity, shell company, etc. It all means one thing: “we’re using your invention and we’re not going to stop or pay”. This is just dissembling by large invention thieves and their paid puppets to kill any inventor support system. It is purely about legalizing theft. The fact is, many of the large multinationals and their puppets who defame inventors in this way themselves make no products in the US or create any American jobs and it is their continued blatant theft which makes it impossible for the true creators to do so. To them the only patents that are legitimate are their own -if they have any. Meanwhile, the huge multinationals ship more and more US jobs overseas. It’s about property rights. They should not only be for the rich and powerful -campaign contributors. Our founders: Jefferson, Franklin, Madison and others felt so strongly about the rights of inventors that they included inventors rights to their creations and discoveries in the Constitution. They understood the trade off. Inventors are given a limited monopoly and in turn society gets the benefits of their inventions (telephone, computer, airplane, automobile, lighting, etc) into perpetuity and the jobs the commercialization of those inventions bring. For 200 years the patent system has not only fueled the US economy, but the world’s. If we weaken the patent system, we force inventors underground like Stradivarius (anyone know how to make a Stradivarius violin?) and in turn weaken our economy and job creation. Worse yet, we destroy the American dream -the ability to prosper from our ingenuity for the benefit of our families and communities. To kill or weaken the patent system is to kill their futures. Show me a country with weak or ineffective property rights and I’ll show you a weak economy with high unemployment. If we cannot own the product of our minds or labors, what can we be said to truly own. Life and liberty are fundamentally tied to and in fact based on property rights. Our very lives are inseparably tied to our property. I agree that there is a serious problem with patent quality – it is all too apparent in our own business – and the biggest losers are, in fact, the consumers. A patent issued which covers a trivial and obvious feature basically ensures that this feature will not be available on competitors’ products. (this critcism is aimed only against those patents which should never have been issued). If the USPTO seriously wants to improve the quality of patents (and I’m none too sure that it does) it should follow the European example and allow interested parties to submit prior art and observations during the examination process. Have you heard of the AIA (America Invents Act)? Drop in on the EPO website and take a look at just how simple it is for an engineer to submit a prior art document to knock out a competitors’ patent application, with just a few clicks of the mouse, with no cash changing hands. Now show me an equivalent procedure on the USPTO website. I will be more than happy to be proved in error. I’m a bit confused. What exactly would a “crisis” be in the author’s opinion? Likewise, I’d be interested to know just what this “legacy patent quality problem” is and just how they think the PTO is going to fix it without being able to fix the substantive problems in the law that the federal circuit has created. It looks to me like all the things they note the PTO is doing will be pretty much ineffective and they realize that and note that the actual problem is the supposed law made by various decisions, though they leave out that those decisions are pretty much entirely the work of the Federal Circuit. Digging into the report itself reveals a bit more about “recommendations” than the good author lets on. While the GAO may not have been explicit as to recommendations they certainly pointed out to congress what the problems are and some potential solutions even if they don’t throw their weight behind any of them. I’m not going to argue with you whether it’s easier to submit prior art to the EPO or the USPTO because that’s not what your original post complained about. Third parties can submit prior art to the USPTO. There’s no fee to submit up to a certain number of references. Whether it’s simple for an engineer to do it (e.g. with a few clicks of a mouse) I couldn’t say. I’ve never done it. But the USPTO does allow interested parties to submit prior art and observations during the examination process. As John points out, such a process does exist. Then you morph your comment into one about the EPO being better or easier. Really? The only way you think you can be proven wrong is with something that you personally deem as easy as the EPO? Interesting. Interested parties can submit prior art and if they are truly interested they will submit prior art. Those, like yourself, who want it to be as easy as you like obviously aren’t “interested parties.” An interested party is more than capable of figuring out how to submit prior art if they want. The real key to patent quality improvement is crowdsourced prior art search (e.g. P2P, AOP). There is no way one human being can find all the relevant prior art in a few hours, especially in a field like software where much of the prior art is in the non-patent literature. As I recall, the participation was far less than stellar, and simply failed to scale up to any type of Office-wide use. The results were good and hopefully the USPTO will continue to expand the program. To really scale it up, I think commercial solution like AOP are the long-term answer. If a reexam or similar post-grant review based on a crowdsourced search were made a requirement prior to bringing an infringement suit, I think the number of lawsuits would decrease, and those which move forward would get resolved more quickly. It does not appear that the GAO analysis took into account all of the lawsuits that are settled out of court and the cost of those settlements. Using the court system to threaten companies into settling leads to an unproductive economy (meaning some are getting rich without producing anything of value). You put your finger on the problem, which is of course not a patent problem. It is a litigation abuse problem. It is hardly new for nefarious actors to misuse the litigation system to shakedown defendants for nuisance value. It is new to the patent world, or relatively new at least. Of course, this doesn’t mean that the patent system is in need of any reform. What it means is district courts need to stand up and take action to prevent their courthouse from being used as part of a shakedown. Defendants also need to step up to expose this behavior rather than caving and letting it go unaddressed. The EPO makes the process of submitting prior art, simple, accessible, and transparent. The USPTO could do the same, but chooses not to. It’s possible that my reading skills are less than perfect, but nowhere on the USPTO website could I find a reference explaining the process of prior art submission. If any of you professionals (you will have gathered by now that I am on the side of the inventors, not the attorneys) could point me in the right direction, you would be doing me a great favor (and my competitors a disfavour – but don’t worry, my biggest competitor is French). I see a flaw in your reasoning. There is no opposing sides between the inventor and the attorney. It appears that you are operating on myths generated by those who are anti-patent. Please be aware of such a subtle but nonetheless malicious mindset. 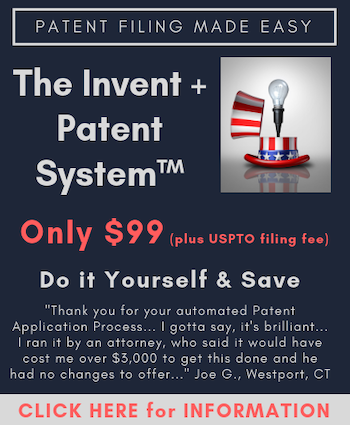 I am not suggesting that inventors are opposed to patent attorneys. On the contrary, each side depends on the other for their daily bread. It is simply my that I am aware that this blog is written by law professionals, mainly for law professionals, and I (with no background in legal studies) am here to broaden my horizons. You tend to read too much between the lines. Engineers, mainly, don’t write between the lines. “Sides” are not necessarily “opposed”. Maybe not as easy as the EPO site, but certainly not entirely inscrutable. Thanks for the pointer. The USPTO certainly don’t go out of their way to make the process simple. Actually, if an inventor files applications in the US and the EU, and I file an observation proving lack of novelty in the EU, the inventor should then submit the document to the USPTO in an IDS, so I don’t have to bother with it. The “application number” is on the first page of the published patent application. It is NOT the bold number in the upper right hand corner. That is a “publication number”. The confirmation number, alas, is not on the published application. You have look up the application data on the public PAIR data base to get it. You also cannot submit standard pdf documents with embedded text. They have to be image only or have the fonts embedded with the text. So I would have to agree with you. For all intents and purposes, the USPTO has not provided an electronic third party prior art submission system that could be used by an average member of the public using a reasonable amount of effort. On the contrary, I am not reading too much – perhaps you are not aware of what you are saying. Yes, the blog is a legal blog. So yes, you should probably take a little more care in expressing what you mean. How else am I supposed to take your comment: “I am on the side of the inventors, not the attorneys” – there is no logical way to take this, except that the sides are opposing. If you do not mean ‘opposing,’ then it is a nonsense statement and one that need not have been made to begin with. Despite the rhetoric, it appears that you have not critically evaluted the ‘success’ of P2P. The low level of use can only be described as a failure. Sorry, but to borrow an analogy, your king is parading around in his birthday suit (and it is not a pretty sight). I find your response interesting, as it highlights the different thought processes of lawyers and engineers. You are obviously trained to pay attention to the syntax of the statement and quickly respond to any errors. Engineers, on the other hand, look for the meaning and toss aside the errors. This is why engineers can’t write patent claims. They can specify an invention in words that any other engineer could understand immediately even if the description were ambiguous, but a patent lawyer sould knock it flat in minutes. Sqaures, by the way, have sides which are not opposed. I too, find your response interesting Benny, as those responses continue to employ poor logic and to make additional errors. 1) you seek to draw a distinciton based on my commentes between lawyers and engineers, while neglecting the fact that patent attorneys typically have a technical background. In fact, I started my professional career as an engineer and was a damn good one. As an engineer, I reject your assertions, and would note that engineers must be meticulous about their craft. 2) So much so, that I find your statement of engineers throwing out the errors to be somewhat offensive. Good engineers never just ‘throw out the errors.’ You cannot achieve the proper meaning without being able to distinguish what the errors are and verifying that they are in fact errors. To the point at hand, you still have not made your statement clear as to what you meant, nor explained how else anyone could take that statement for any meaning other than the one I took it for. 3) You introduce the analogy of a square, but neglect the fact that your comment only provided two sides, and thus, a square is simply an(other) inappropriate vehicle for you to express yourself. Even mediocre engineers need to be able to communicate effectively. 4) Lastly, having thsidialogue does generate some possible value as it allows me to emphasize that patents are legal documents, and need to be understood in that light. Taking (even a pedestrian) engineering view – absent the legal understanding – is sure to cause confusion as to what patents are and what patent rights do. What you may perhaps see as ‘interesting’ in our dialogue should alert you to how careful you should be when trying to address patent issues. It’s a good lesson to keep in mind. Former Justice Stevens warned of treating 101 like a nose of wax. That he himself then attempted to do so does not temper his warning. When a body of the judiciary, directly appointed by Congress with the task of bringing order to patent law finds itself simply unable to do so because of the 10 nose of wax twisting, digging, mashing, and obliteration by the Supreme Court (as recently exemplified in the (lack of) Alice decision), the Supreme Court itself needs to take a serious step back and examine everything, up to and including its own doings. It must realize that its judicial exceptions are not above the law – regardless of whether they become dead letters or not. Judicial hubris is what brought about the mess, and judicial hubris must be set aside in order for the mess to be cleaned up. The mere conjecture of future events cannot overwhelm the direct words that Congress has chosen. The use by the Court of ‘implicit’ stands as a running invitation to disregard Justice Stevens’ warning. The use of ‘implicit’ to pre-select what is eligible as a category, completely aside from what is patentable, is like a nuclear weapon, and one that has been tossed about with far too little care by groups with philosophical – rather than objective – agendas. Repeated through out history (reference the sewing machine, automobiles, airplanes, even cell phones), quantum leaps in innovation are held hostage by patent naysayers in an attempt to defeat what patents inherently bring: market upheavel to the established powers. The ability of one man with one patent blocking such powers is not something to be feared. It is to be embraced. As of Alice, no one knows (or nose) what shape the Supreme Court thinks is the right shape. And even without a nose, the smell of the current situation is simply overwhelming. P2P was a series of _pilot_ programs, which by definition are limited in scope and experimental in nature. Judging their success on the basis of “failure to scale” is a contradiction in terms. The commercial success of crowdsourced search (e.g. AOP) is proof positive that it does in fact scale. It’s just up to the Congress/USPTO to adopt it. I will let the readers of these comments be the judges regarding what constitutes sound logic, but having answered the same question three times now I have nothing more to add. Please check the data you posted. Yes, the programs were limited in scope. The second program had a limit of 1,000. It achieved only 337 uses. You have ignored this aspect three times. You have nothing more to add, because you have nothing to add. A law suit against an NPE is likely a declaratory judgment lawsuit – one where the accused infringer brings a suit saying they did not infringe. So if NPE’s bring 20% of suits, and they are defendants in 35% of suits, then we could have 55% of suits being caused by NPE patent claims.